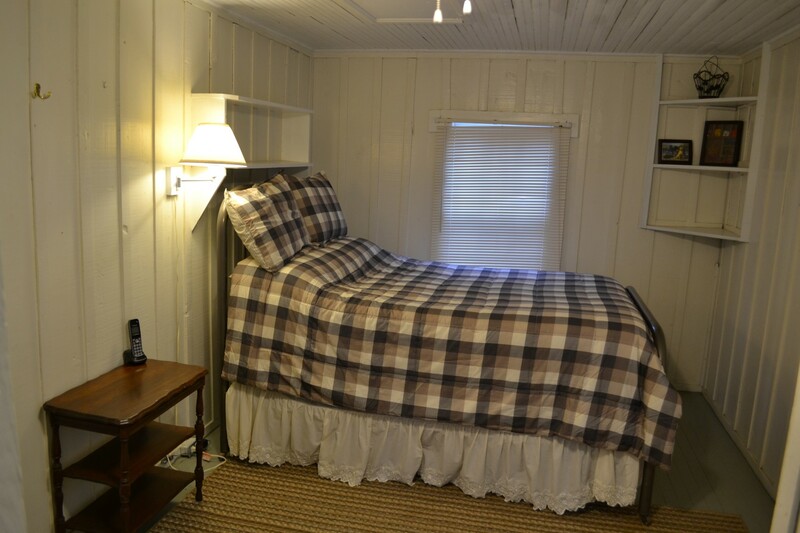 If you would like to reserve your special get-away at The Shamrock House, follow the link to our VRBO page. 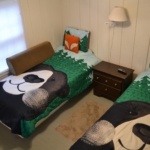 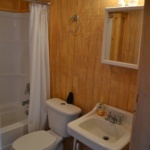 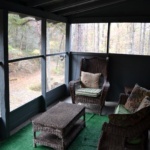 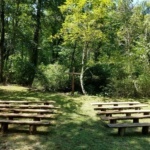 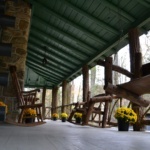 The cabins can be rented as a group, or individually. 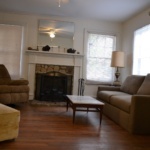 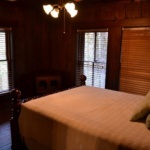 Contact the owner with questions about the property and pricing for special events. 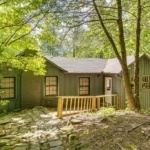 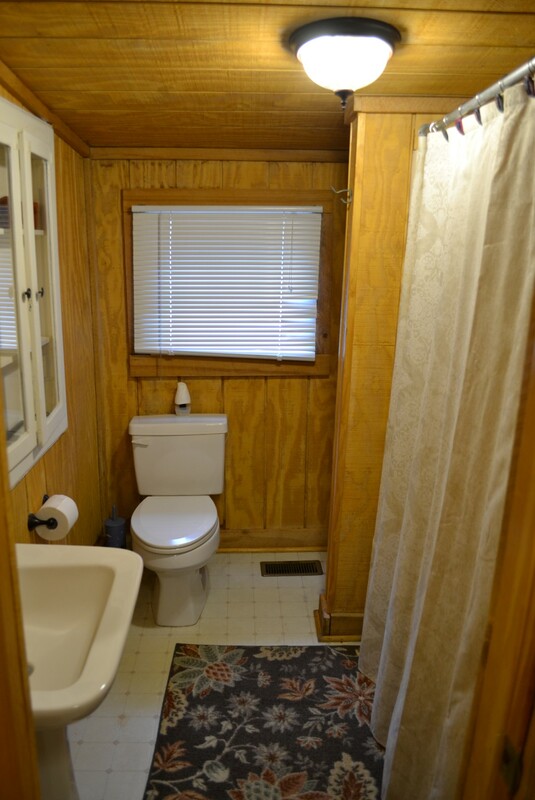 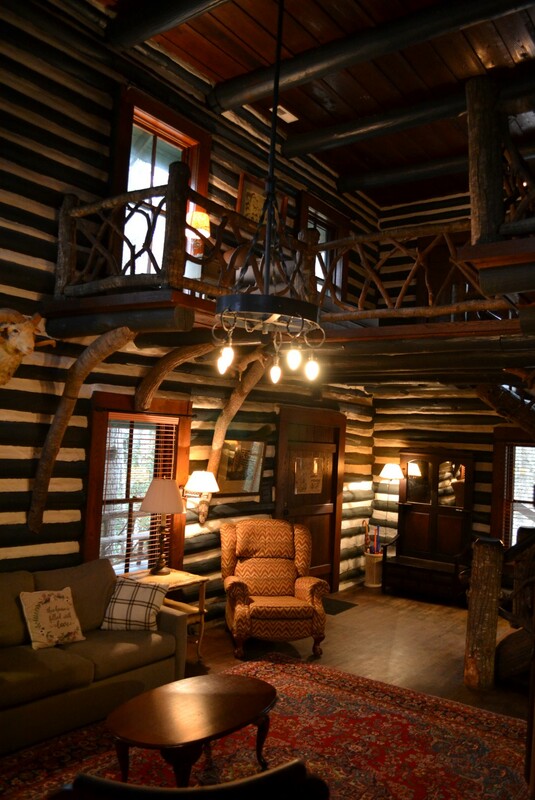 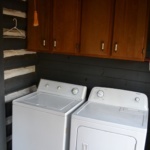 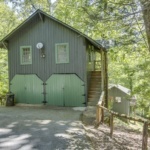 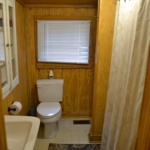 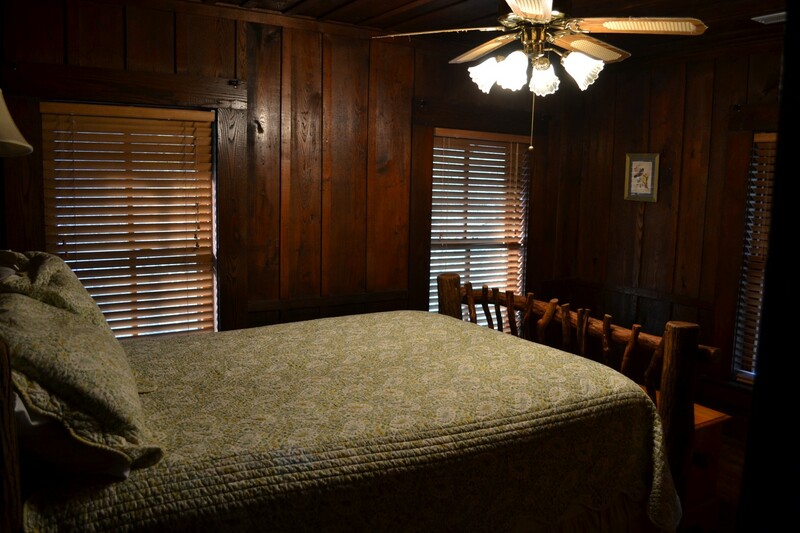 The Main cabin consists of two levels with two bedrooms and two full baths. 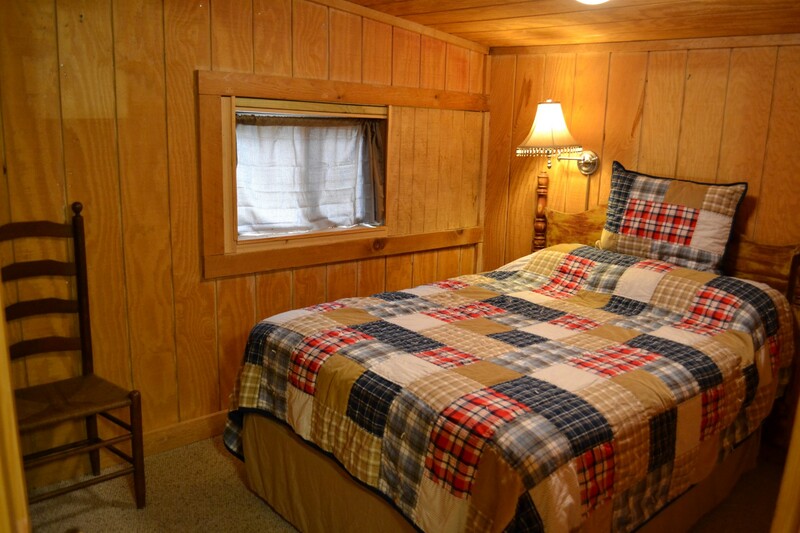 It sleeps 6 comfortably with 2 queen beds, a pullout couch, and a child may sleep on the chaise lounge or inflatable mattress upstairs to make a total of 7. 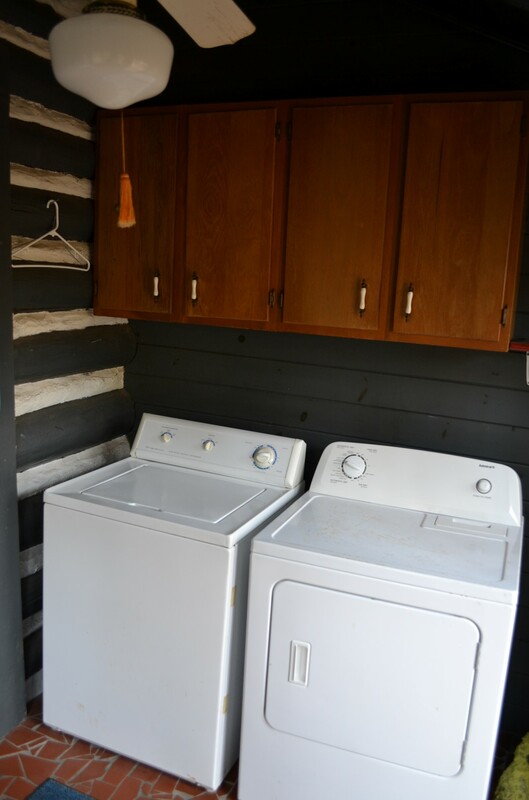 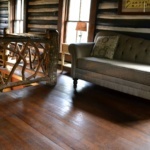 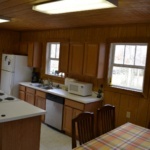 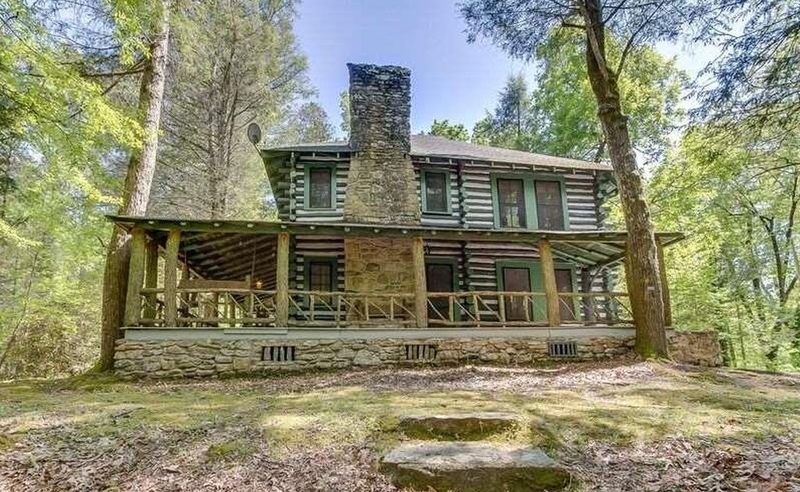 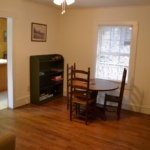 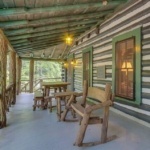 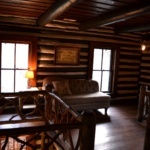 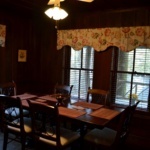 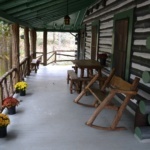 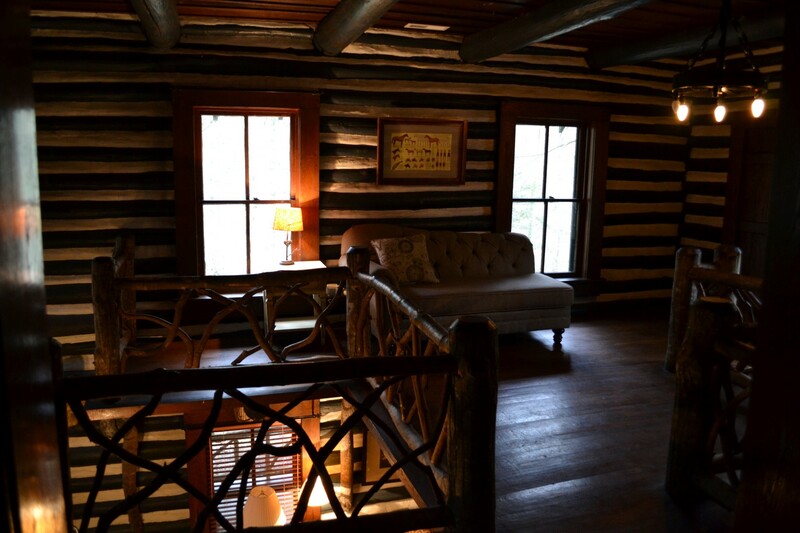 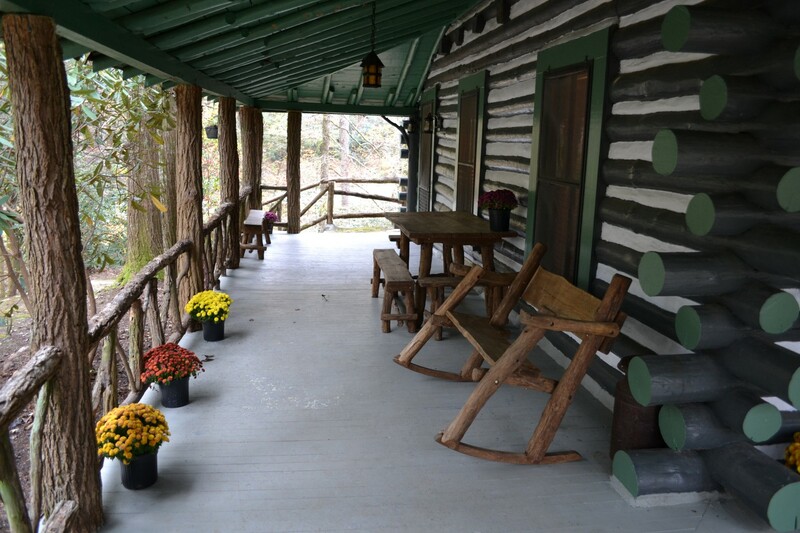 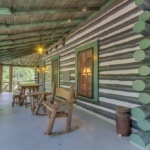 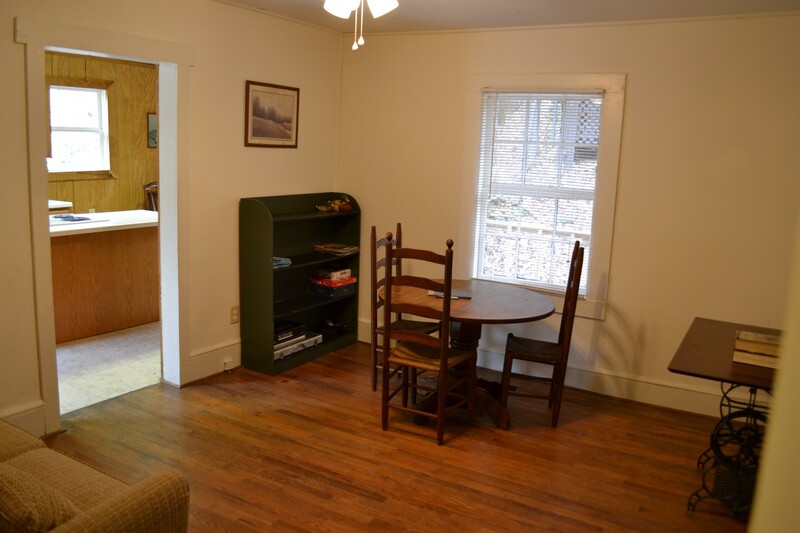 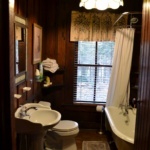 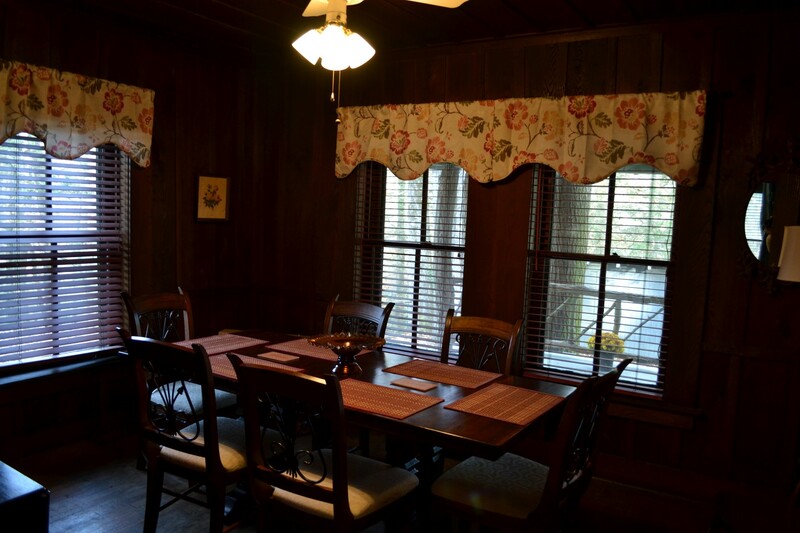 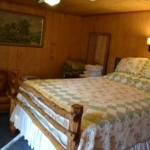 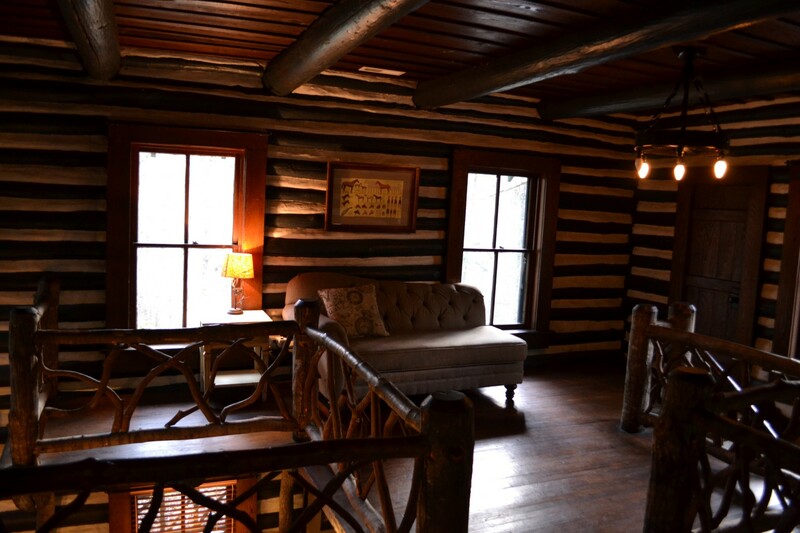 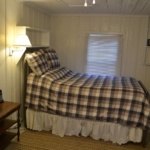 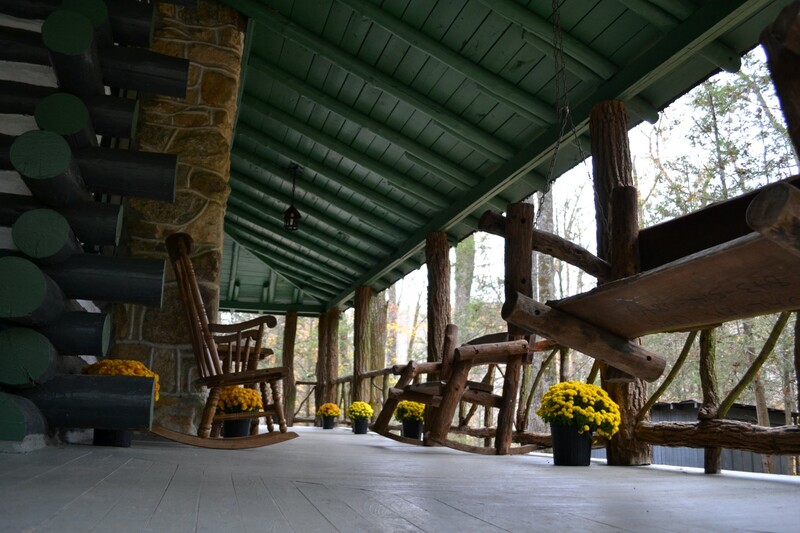 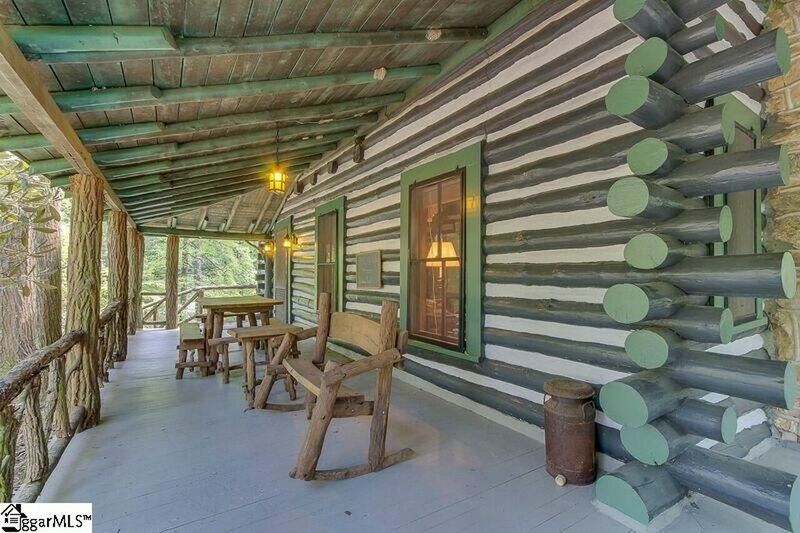 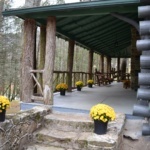 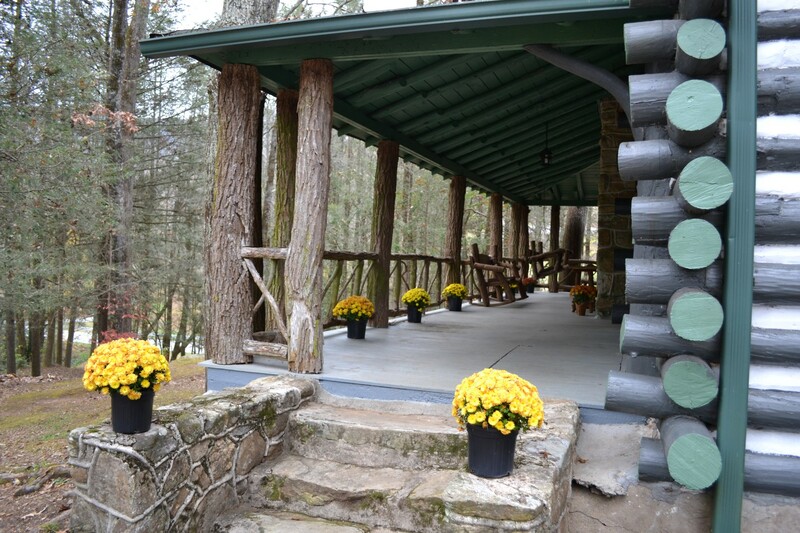 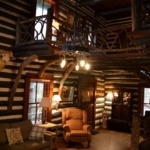 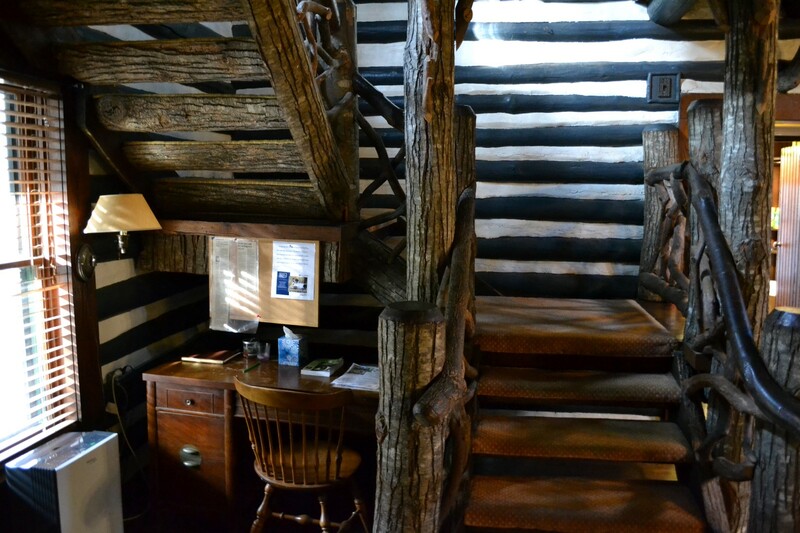 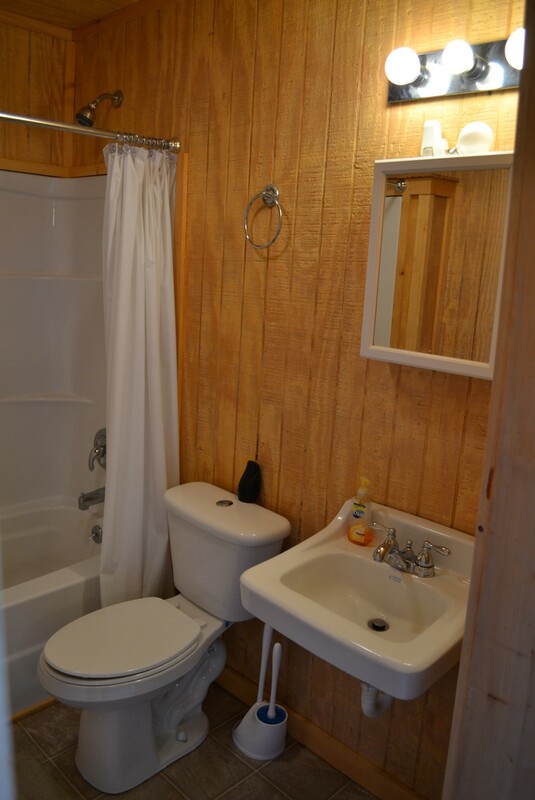 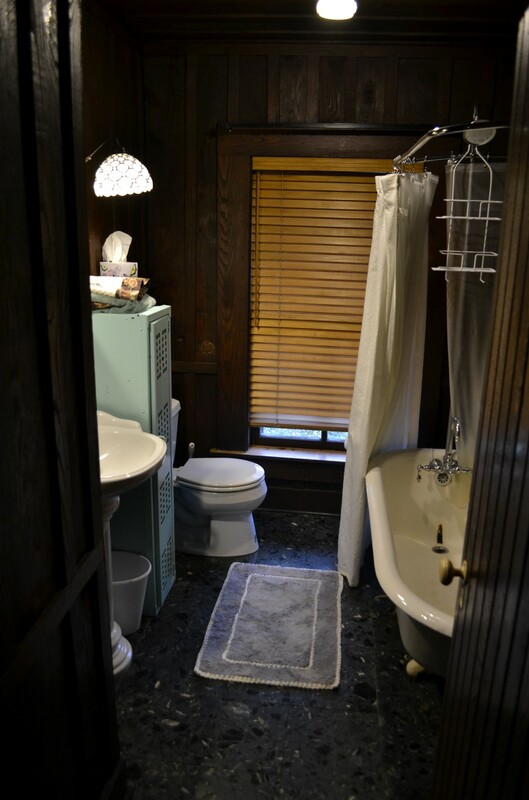 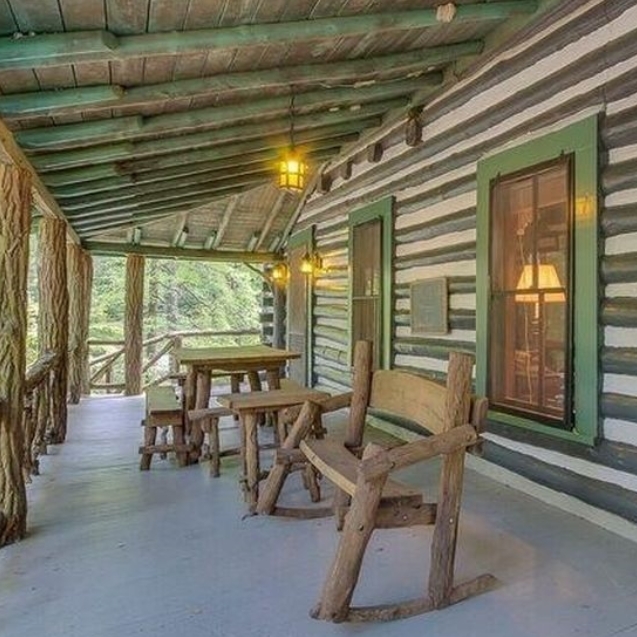 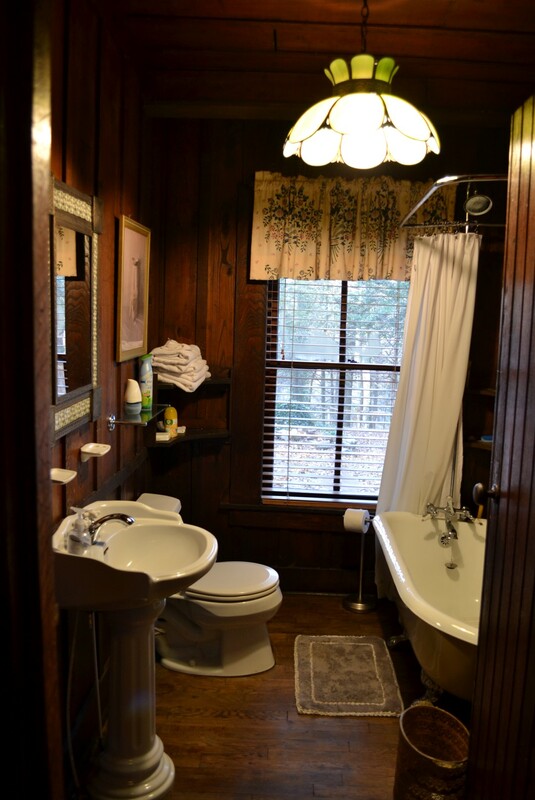 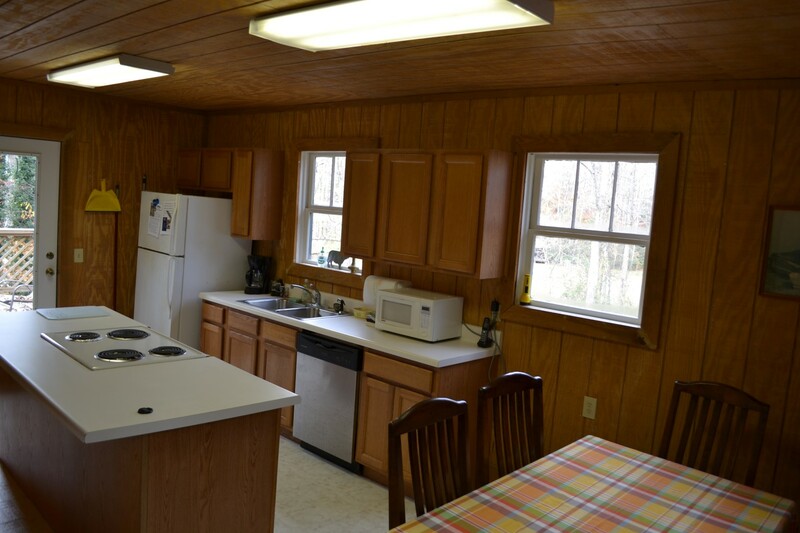 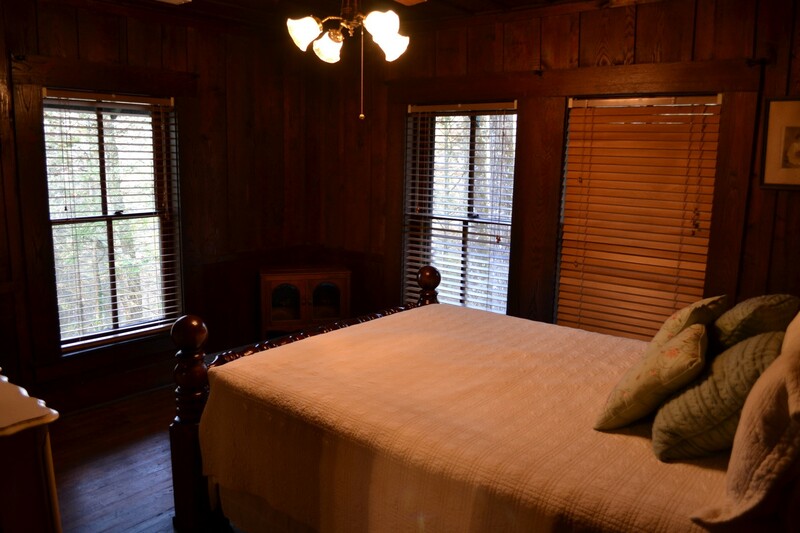 The cabin has a fully equipped kitchen and large dining room with period furnishings. 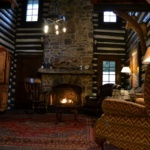 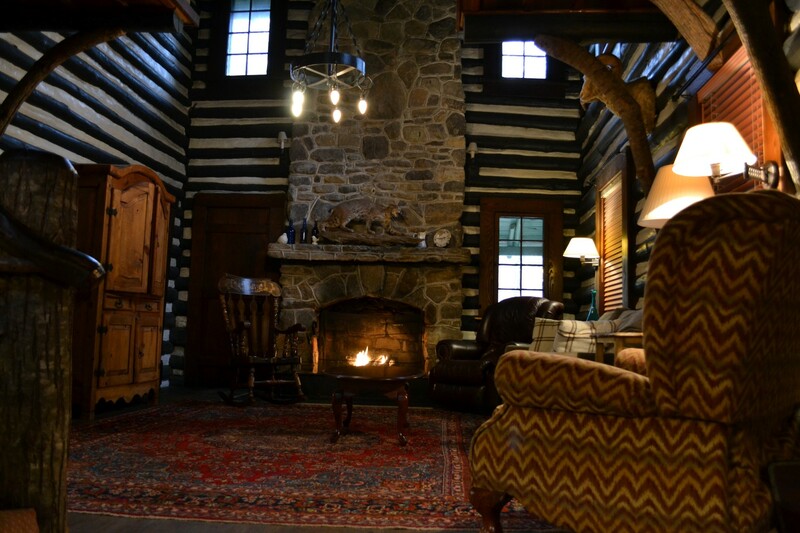 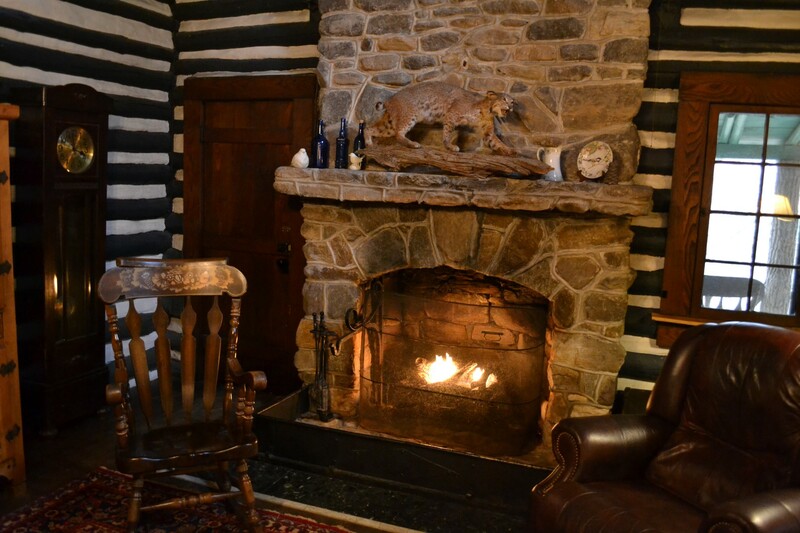 The great room has a 20 foot plus high fireplace and chimney made of local stone, overlooked by second floor loft. 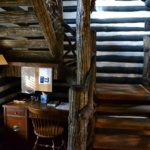 A second floor deck is accessed from the loft area. 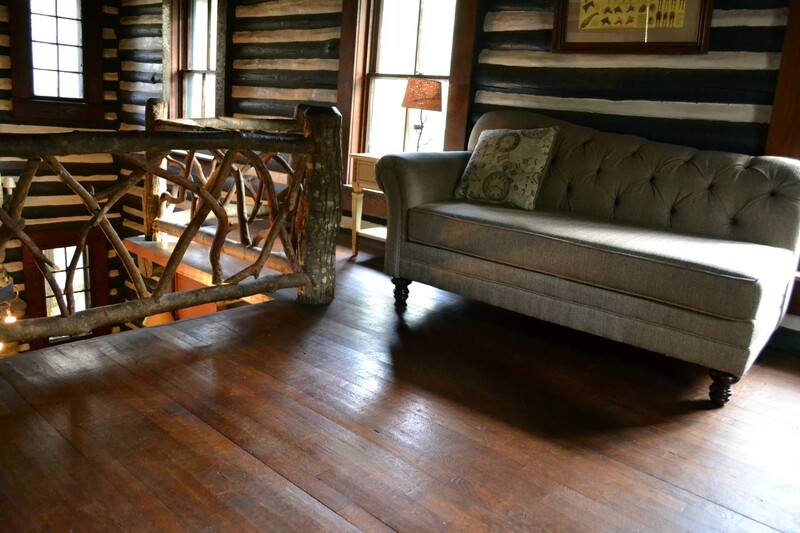 Native wormy chestnut paneling and bent wood railings add to the character of the house. 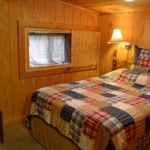 The main cabin offers a large TV with DVD player, satellite, and wifi. 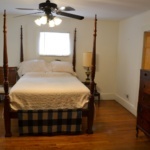 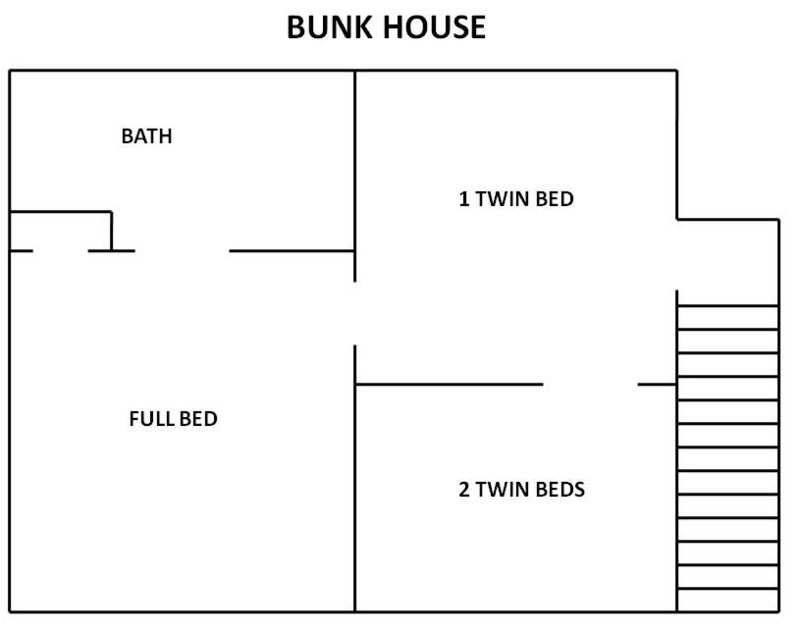 The former servants’ quarters, known as the Bunk House, has three bedrooms and a full bath. 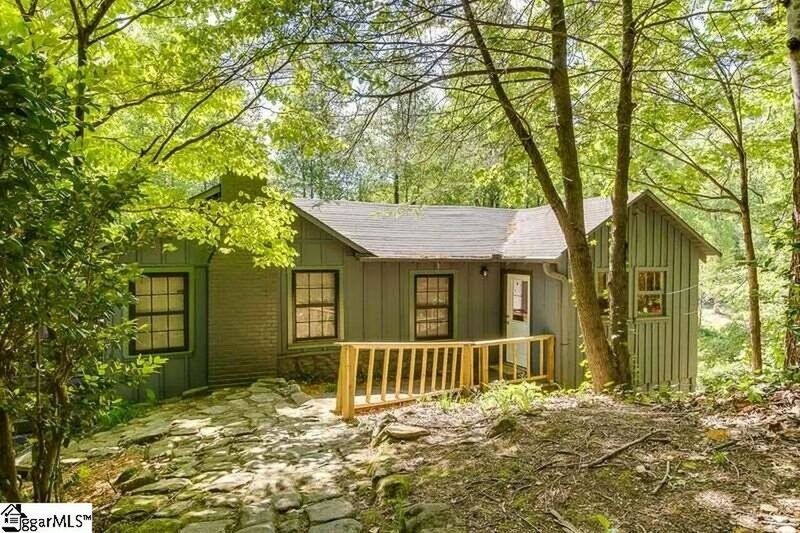 It sleeps 7. 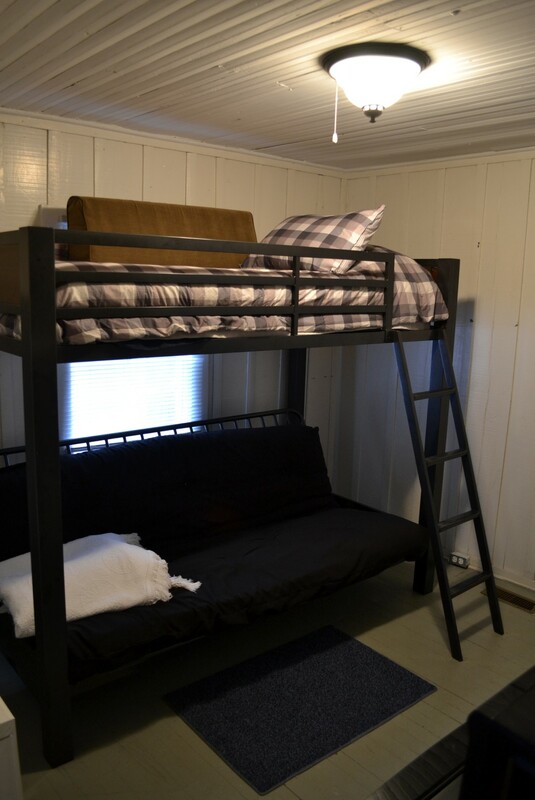 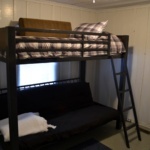 Kids really like the Bunk House for its “tree house” feel and bunk bed in the first room. 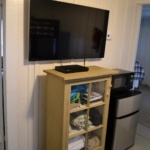 It has a large TV with DVD player (bring your gaming station) and boosted wifi signal (usually ok for viewing videos, but not always reliable). 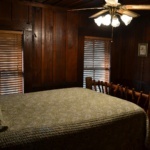 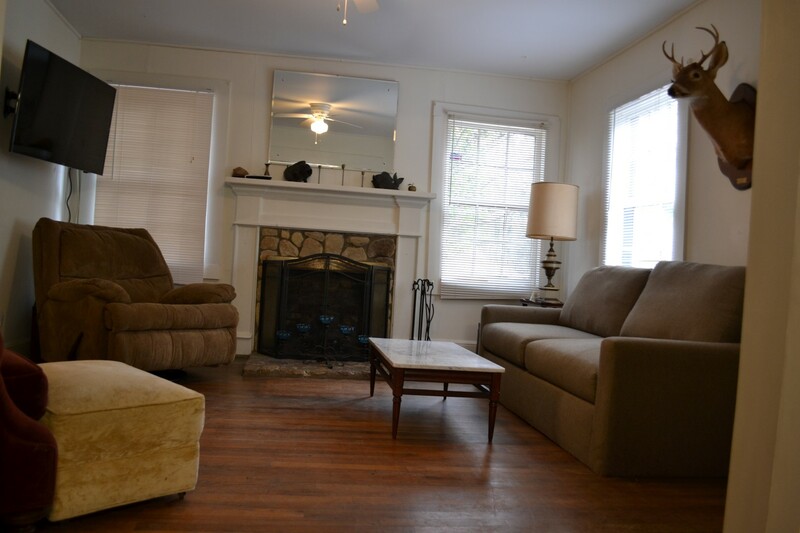 The recently renovated Trout House consists of three bedrooms, a large kitchen, living room, game room with card table (no pool table or table tennis), and 2 full baths. 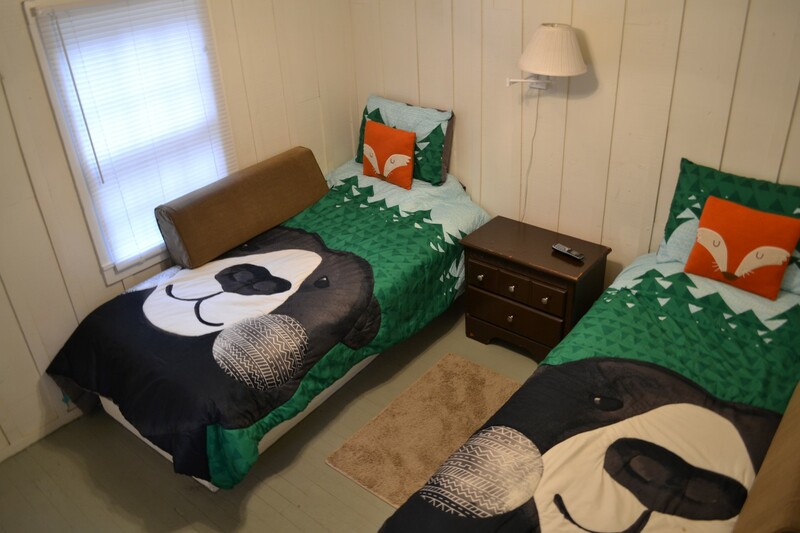 It sleeps 10. 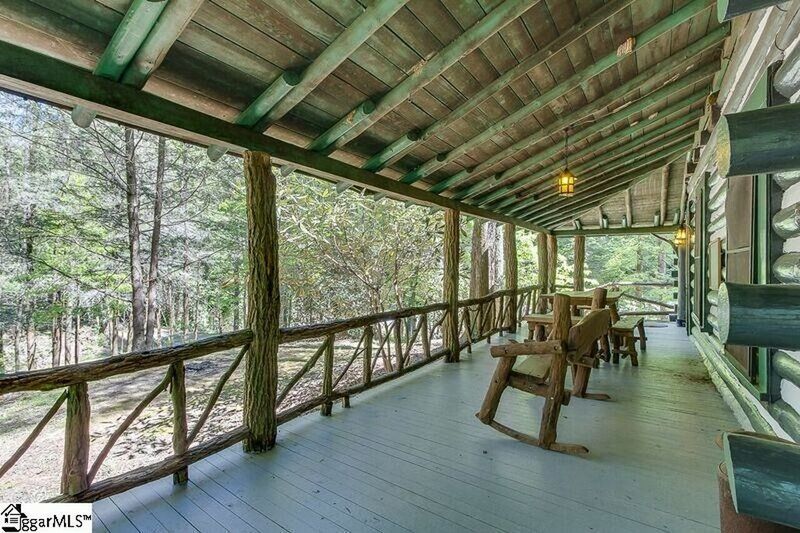 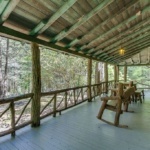 A large deck accessed from the kitchen overlooks Rocky Bottom Creek, and a second deck at the lower bedroom overlooks both Rocky Bottom Creek and the trout pond. 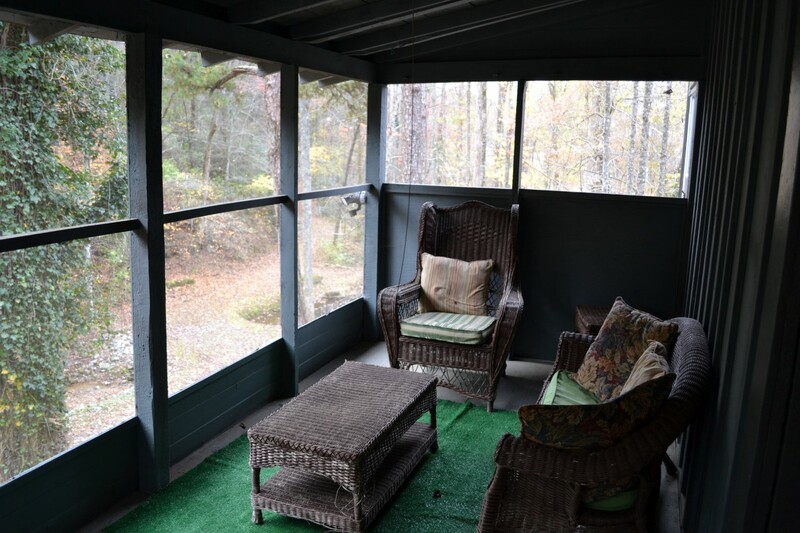 This house also has a screened-in porch. 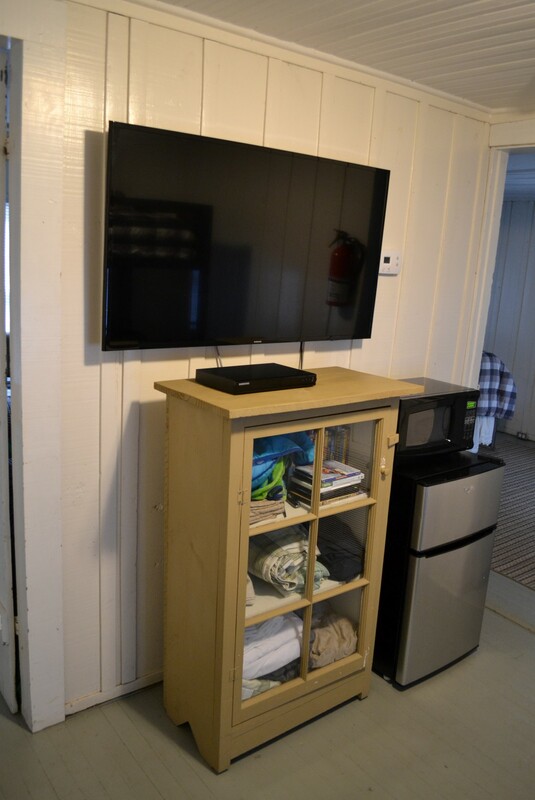 A large TV with satellite provides entertainment, including a boosted wifi signal. 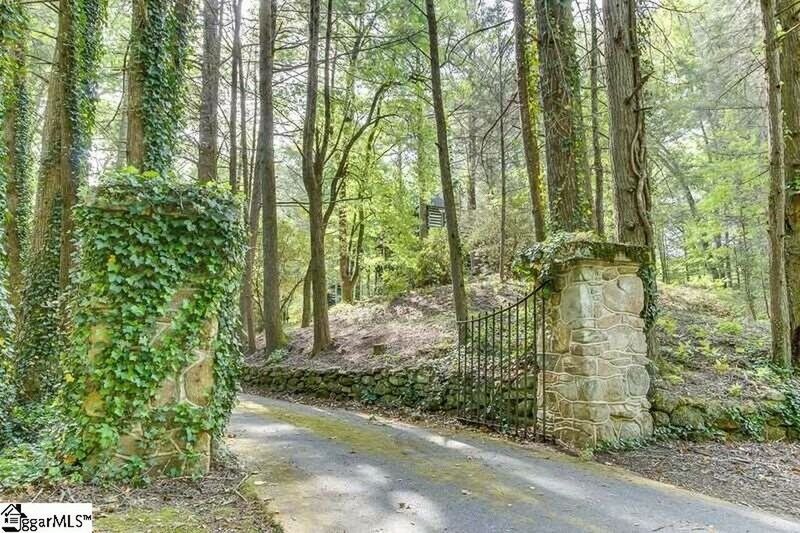 Rocky Bottom Creek forms the North boundary of the property. 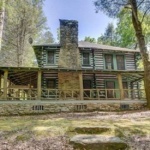 The creek is an active trout stream and exits the property through the remains of an old mill pond dam into the Jocassee Gorges Wilderness area. 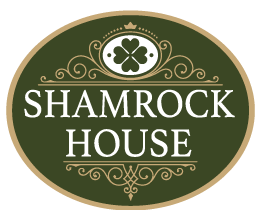 Nancy was a pretty young woman who is said to have taken her own life while a guest at the Shamrock House on the evening of May 13, 1927. 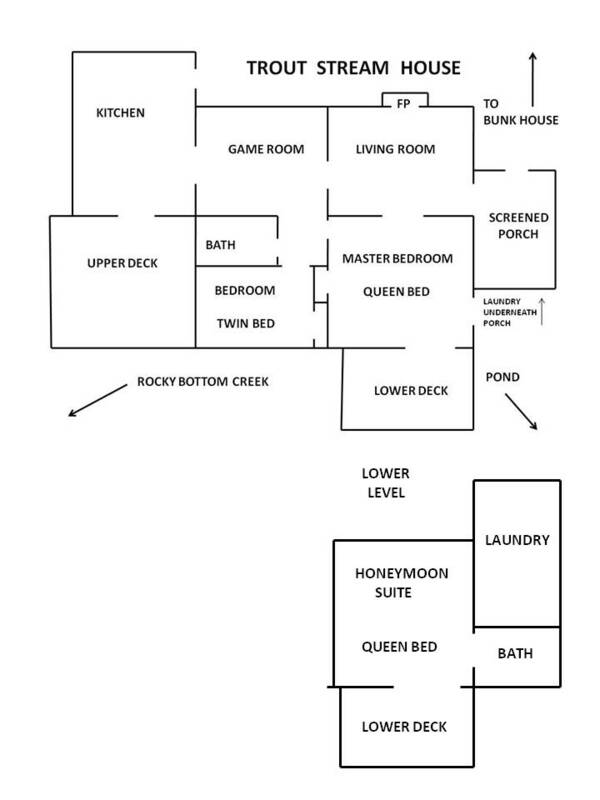 We have been told that she and her two girl friends were hired to provide “upstairs entertainment” for a party and when called on to do so, Nancy had second thoughts and refused to go thru with the arrangement. 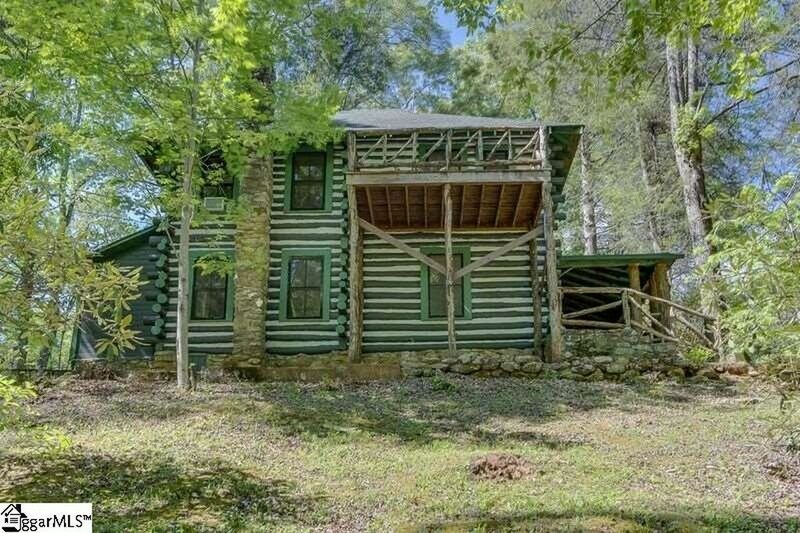 Her girlfriends and the host tried to talk her into going thru with the arrangement but Nancy would have none of it and locked herself in one of the upstairs bedrooms. 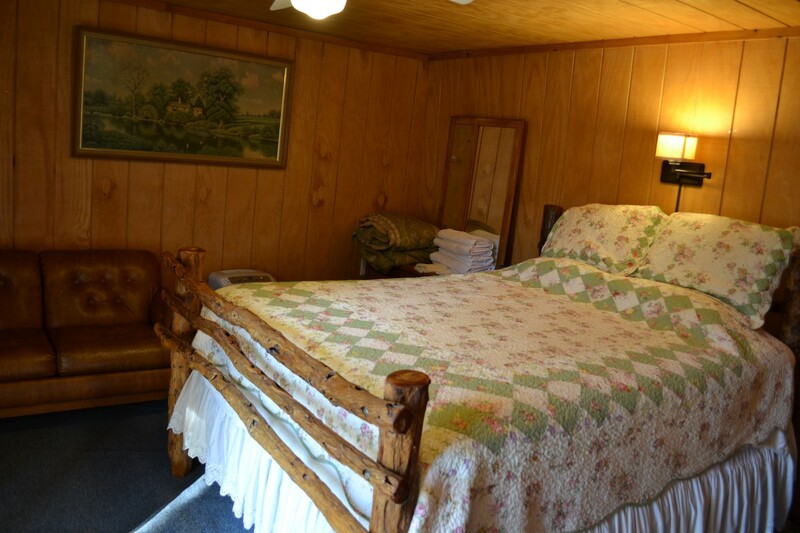 That room is now called Nancy’s Room. 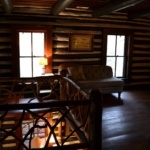 Word soon came that Nancy’s father had learned what was supposed to be going on and that he was on his way to retrieve Nancy. 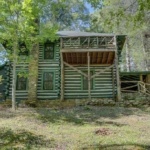 Nancy’s father was nobody to be messed with as he was a hard bitten fire and brimstone circuit riding preacher man who was as quick to pull out and use his 44 Colt as he was to reach for his Bible. 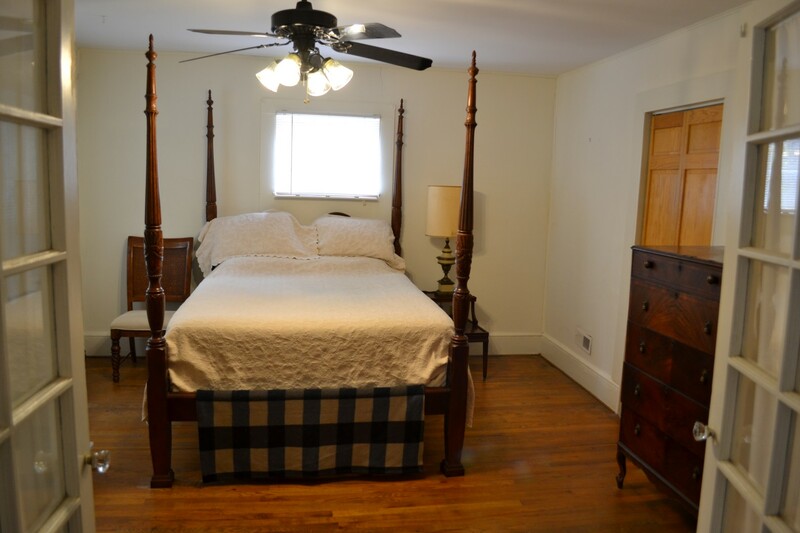 Nancy apparently panicked at the news of her father’s pending arrival and took an overdose of laudanum, an opium product that was readily available back in those days. 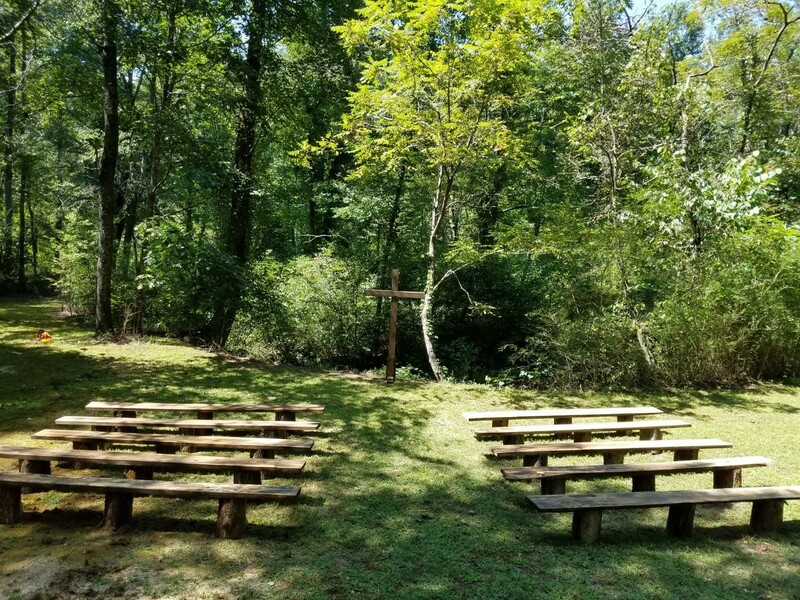 The information on where Nancy is buried varies. 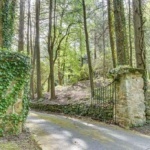 Some folks claim that her father took her body back down the mountain for a proper burial and some say that she is buried near the house. 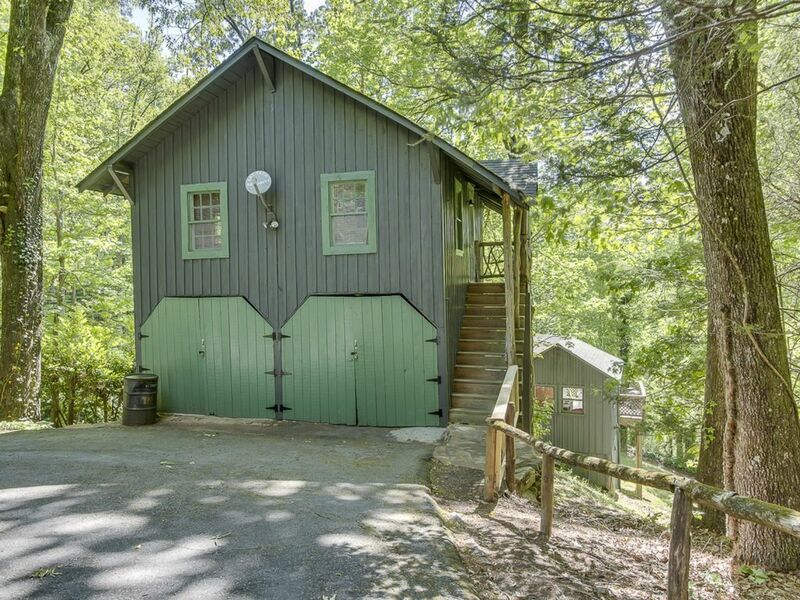 Look for the undressed stone located slightly down the hill more or less in-line with the propane tank. 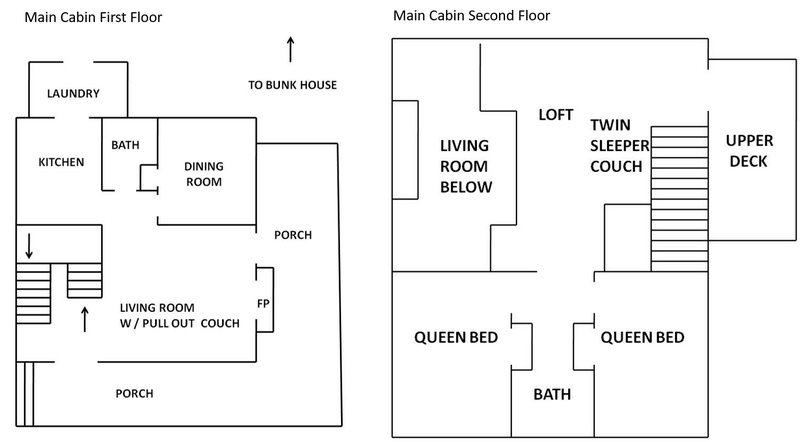 In any event, her ghost is said to still linger and several people have reported hearing a women softly crying in the night, unaccounted for footsteps, inexplicable cold spots, fleeting apparitions and also doors opening and closing and lights turning on and off for no apparent reason. 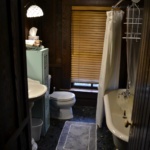 One such person is the grandson of Romaine Johnson. 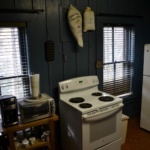 Mrs. Johnson is the proprietor of Bob’s Place (once, the oldest beer joint in South Carolina). 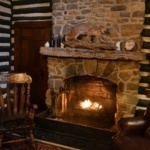 Unfortunately, Bob’s Place fell victim to arson in the summer of 2017 and is no more.